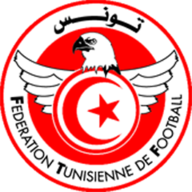 Match ends, Tunisia 1, Iran 0. Second Half ends, Tunisia 1, Iran 0. Alireza Jahanbakhsh (Iran) is shown the yellow card for a bad foul. Substitution, Tunisia. Bassem Srarfi replaces Wahbi Khazri. Wahbi Khazri (Tunisia) is shown the yellow card for a bad foul. Alireza Beiranvand (Iran) is shown the yellow card for a bad foul. Substitution, Iran. Alireza Jahanbakhsh replaces Vahid Amiri. Substitution, Iran. Mehdi Torabi replaces Karim Ansarifard. Own Goal by Milad Mohammadi, Iran. Tunisia 1, Iran 0. Substitution, Tunisia. Taha Yassine Khenissi replaces Naim Sliti. Substitution, Iran. Omid Ebrahimi replaces Ali Karimi. Substitution, Iran. 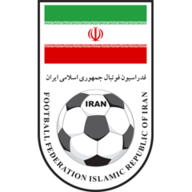 Kaveh Rezaei replaces Reza Ghoochannejhad. Substitution, Iran. Pejman Montazeri replaces Mohammad Reza Khanzadeh. Substitution, Tunisia. Oussama Haddadi replaces Ali Maâloul. Substitution, Tunisia. Anice Badri replaces Mohamed Ben Amor. Substitution, Tunisia. Ahmed Khalil replaces Dylan Bronn. Substitution, Tunisia. Fakhreddine Ben Youssef replaces Saif-Eddine Khaoui. Second Half begins Tunisia 0, Iran 0. Substitution, Iran. Saman Ghoddos replaces Masoud Shojaei. First Half ends, Tunisia 0, Iran 0. Dylan Bronn (Tunisia) is shown the yellow card for a bad foul.